Businesses spend a lot of time worrying about the front office. An integral cog in every company’s operations, the front office is where businesses meet with customers. Sales associates are in the front office, but there’s a lot that happens behind the scenes, too. Back office work, the work that you can’t see happening as a customer, is often the costliest. All of the tasks that make an office and business run optimally are held in the back office. If a business wants to save time and money, they can often look to the back office without having to worry about the ramifications on customer service and experience. Outsource Tasks That are Not Your Expertise. And these are just a few of the roles that a business owner may take on. It’s a lot of work, but it’s often a necessity. But unless you’re a marketing firm, why should you be in charge of marketing? If you’re not an accountant, would your time be better spent doing the bookkeeping, or would it be better to hire a payroll provider to take on the work? When businesses have the resources at their disposal, they should be outsourcing these tasks. Not only will they be better handled by a professional experienced in the field, but you’ll also have a lot more free time to do other, important tasks. Pay in Advance When Possible. Small businesses have a lot of overhead in most cases. One mix-up or forgetful employee may lead to bills going unpaid. You may also have an issue of time wasted paying bills. It takes minutes to pay a bill online, and this is easily overlooked. But let’s assume that you have a lot of bills to pay. A lot of utilities and companies will allow you to pay for several months of service in advance. This may seem small, but it’s a change that can really add up over time. Hosting companies, for example, will often cut the monthly rate down significantly when you pay upfront. When you pay in advance, you’ll also be able to make a larger deduction on your current taxes in many cases, or you can spread out the expenditures. Lower the Amount of Staff Meetings. Staff meetings are great, and sometimes, they’re a necessity. The problem is that a lot of meetings are held without need. You’ll have a handful of employees in the same room, all waiting for the meeting to start. Business comes to a standstill. You also have the issue of employees letting their nerves get the best of them. Employees may be worried about the meeting leading to a lack in production. Most businesses don’t need to have a weekly meeting. Executives complain about spending too much time in meetings, and some 74% of execs state that they doubt the meeting had an effect on the business. So, consider your need for a meeting. If you do need to have a meeting, be strategic about the amount of people that need to attend. You can have just one team leader attend, allowing for your business to be more productive and save time in the process. We live in a world of big data. Businesses are spending more time analyzing data and refining their operations than ever before. Storage is cheap, and there are apps and software that can monitor all aspects of the back office. Data mining is different for every business, but it can help a business understand where time is wasted. Let’s assume that you run a web design firm. Employees are often online, reading email or spending time on a website that isn’t going to help them finish their work faster. It happens to every business, but it is a major time sink that lowers production. There are tools available to monitor all of this traffic and wasted time to determine where employees are wasting time. But these aren’t the only options available. You’ll find a lot of time and activity tracking solutions that will work well for your back office. 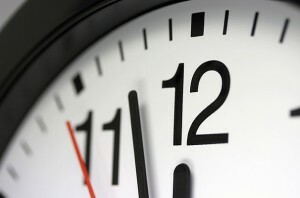 Through a better understanding of where time is lost, it’s easier to start implementing time-saving changes. A lot of new businesses are “winging it.” These businesses are just going with the flow, and they’re trying to make sense of all of their company’s operations. You’ll find that even seasoned, well-established businesses need to create boundaries. Through boundaries, the back office will start spending more time on important business operations that make money. Procrastination is not saving you time. It’s so easy to keep pushing things off, and it’s something that I struggled with a lot. What I did was read, and read a lot. Brian Tracy’s Eat That Frog! is a book that I highly recommend that you read. It’s all about procrastinating, and it outlines 21 ways for you to stop putting everything off. The key thing in the book, and I do recommend reading it all, is that you want to do the things you dread first thing in the morning. This means doing your hardest tasks, or those that will take your most energy, first thing so that you don’t keep putting it off and keeping it in the back of your mind.